Yesterday, I peered out into the gardens through the kitchen window. I watched as an assortment of butterflies flit from flower to flower and bush to bush dancing on the light breeze. I saw a female hummingbird sip nectar from the flowers on the deck. A daily visitor, she has also been enjoying the red bee balm that is blooming outside the dining room window. 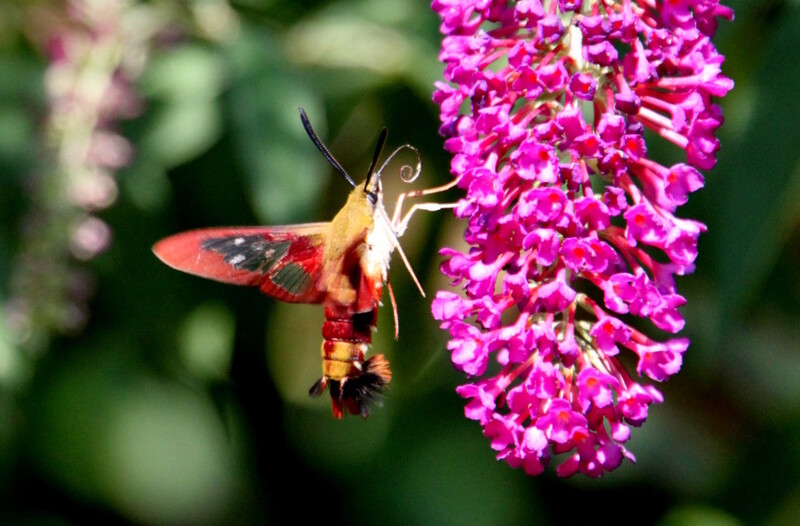 As I looked across the garden, I caught a glimpse of what appeared to be two baby hummingbirds buzzing around the magnificent butterfly bush. I had to go outside and get a closer peek.